Jamie Eberle is the Chief Financial Officer of BeLiteWeight. BeLiteWeight has helped over 7,000 patients have safe, affordable and successful weight loss surgery over the past eight years. Jamie has had bariatric surgery and knows the ins and outs of the different procedures, including: gastric sleeve surgery, gastric sleeve plication, vertical sleeve gastrectomy and gastric bypass surgery, and other bariatric surgery procedures. BeLiteWeight focuses on each patient's needs to help them choose the right procedure and get started on the path to a healthier life. 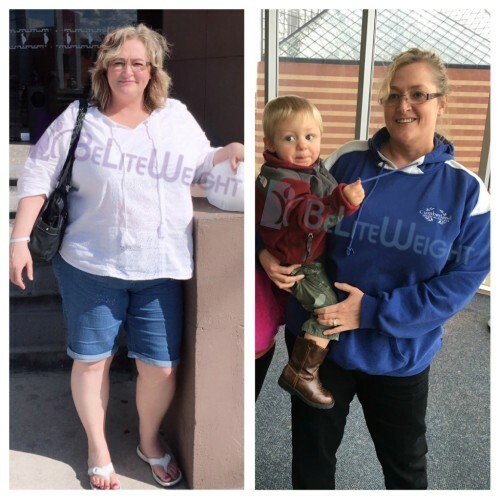 Here at BeLiteWeight the one thing that makes us all happier than anything else is the success of our patients and the honor that we have to share their stories with you! 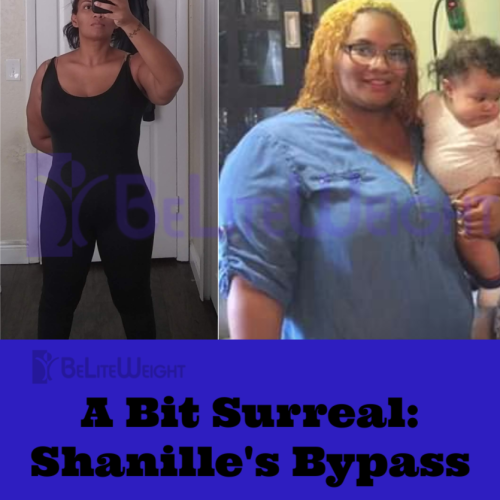 The next incredible success story is the wonderful Shanille and her adventure with the gastric bypass. 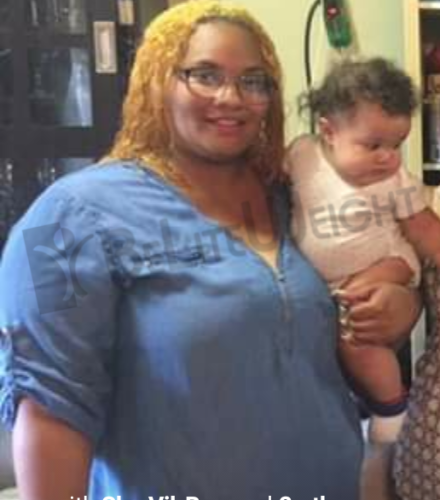 The relationships that her weight loss has helped reinforce within her friends and family make her story so inspiring! Nevertheless, let’s let her own photos and actual words do the rest of the talking! Thank you so much for sharing your success with us all Jennifer! Your story is a true inspiration for others and we are so happy to see you are taking advantage of your decision! For more information on Gastric Bypass and other weight loss surgical questions, please call BeLiteWeight today! It is sometimes said that Heartburn and Gerd are two sides of the same coin. Heartburn it the irritable burning sensation we sometimes feel after eating. Most of us experience an occasional bout of heartburn. Certain foods can sometimes trigger the heartburn or simply not chewing your food adequately can also trigger an attack of heartburn. Gerd (gastroesophageal reflux disease) or Acid reflux is an actual malfunctioning of the digestive process that causes the sensation of heartburn. It can be a long term or chronic digestive disorder. It is important to discuss the diagnosis and treatment of Gerd with your doctor. 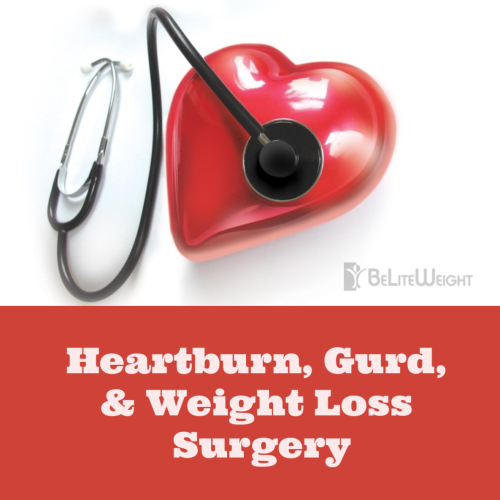 Before contemplating Weight Loss Surgery it is important to let the Surgeon know if you have frequent symptoms of heartburn or if you have been diagnosed with Acid Reflux/Gerd. Our food travels down the esophagus and into our stomach where it is met with digestive juices to break it down. There is a muscle shaped like a ring called the lower esophageal sphincter which is designed to seal the top of the stomach. When the seal does not perform its task adequately and partially digested food moves back into the esophagus this often causes uncomfortable burning and irritation. Two of the most common causes of acid reflux are overeating and under chewing of our foods. When our food is inadequately chewed it fails to mix adequately with the digestive juices and stomach acid. The poorly chewed foods tend to stay in the stomach longer and can force the acid mixed food back up into the esophagus. Over time the repeated occurrence of acid reflux can damage the delicate tissue of the esophagus. Chronic acid reflux can also be exacerbated by eating large meals and eating close to bedtime. Large meals can often spill or reflux back into the lower esophagus. Lying down soon after a meal increases the likelihood that the acid mixed food will reflux into the esophagus. It is considered very important to reduce the size of your meal and to wait at least two hours after eating before lying down. Two of the most common causes of acid reflux are overeating and under chewing of our foods. When our food is inadequately chewed it fails to mix adequately with the digestive juices and stomach acid. The poorly chewed foods tend to stay in the stomach longer and can force the acid mixed food back up into the esophagus. Over time the repeated occurrence of acid reflux can damage the delicate tissue of the esophagus. If you are considering weight loss surgery remember that Gerd affect different options for Bariatric surgery and may require treatment after surgery. But certain precautions such as making sure you chew your food can be very effective! For more information on Gastric Sleeve and other weight loss surgical questions, please call BeLiteWeight today! Life at home might seem a lot busier for some now that school is back in session. It can be hard to find the time to grocery shop and plan out a good meal. 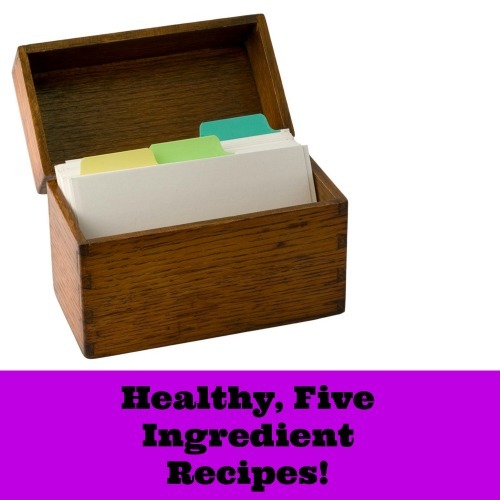 Here are some great meal ideas that only require five ingredients, making them much faster and easier to prepare! This recipe uses fresh ingredients and quinoa, which is a great source of fiber and a great substitute for those wishing to avoid gluten! 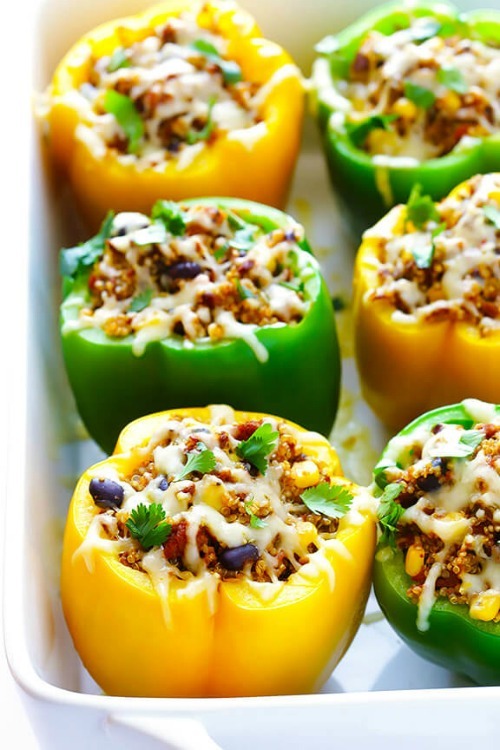 Preheat oven to 350 degrees F. Arrange the peppers in a 9 x 13-inch baking dish so that the cavity side is facing up. In a large mixing bowl, stir together the cooked black bean crumbles, cooked quinoa, 1 1/2 cups shredded cheese and salsa until combined. Spoon the mixture evenly into the cavities of the six bell peppers. Sprinkle the tops with the remaining 1/2 cup shredded cheese. Bake uncovered for about 25-30 minutes, or until the peppers are cooked and soft and the cheese is all melted. Serve immediately, topped with optional toppings if desired. This delicious chicken recipe doesn't need a lot of ingredients but packs in a lot of flavors. Sweet potatoes are a great source of fiber, iron, and calcium, and also have beta-carotene, which is an antioxidant! 1 Position rack in lower third of oven; preheat to 450°F. Place a large rimmed baking sheet in the oven to preheat. 2 Combine mustard, thyme, 1 tablespoon oil and ¼ teaspoon each salt and pepper in a small bowl; spread the mixture evenly on chicken. 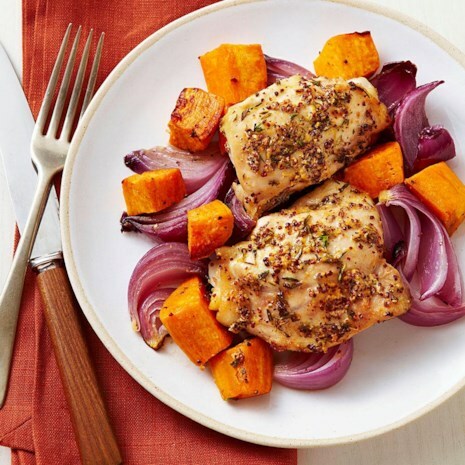 3 Toss sweet potatoes and onion in a bowl with the remaining 1 tablespoon oil and ¼ teaspoon each salt and pepper. Carefully remove the baking sheet from the oven and spread the vegetables on it. Place the chicken on top of the vegetables. 4 Return the pan to the oven and roast, stirring the vegetables once halfway through, until the vegetables are tender and beginning to brown and an instant-read thermometer inserted into a chicken thigh registers 165°F, 30 to 35 minutes. This simple salmon recipe uses fresh dill an asparagus for a delicious, healthy, and filling meal. Preheat oven to 400 degrees. Cut four sheets of aluminum foil about 14-inch long. Divide asparagus into 4 equal portions (about 8 spears per foil packet) and layer in center of each length of foil. In a small bowl stir together oil with garlic. Drizzle 1 tsp of the oil over portion of asparagus then sprinkle with salt and pepper. Rinse salmon and allow excess water to run off, then season bottom of each fillet with salt and pepper. Layer fillets over asparagus. Drizzle top of each salmon fillet with 1 tsp of the olive oil mixture and season top with salt and pepper to taste. Top each with about 2 sprigs dill and 2 lemon slices (if using fresh thyme or rosemary use about 3/4 tsp per each if using parsley use 1 1/2 tsp). 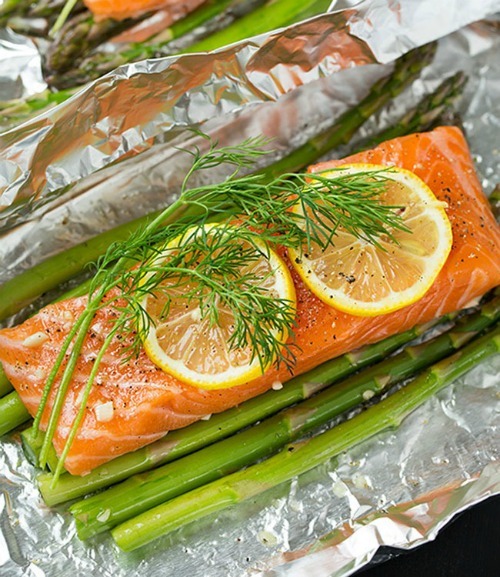 Wrap sides of foil inward over salmon then fold in top and bottom of foil to enclose. 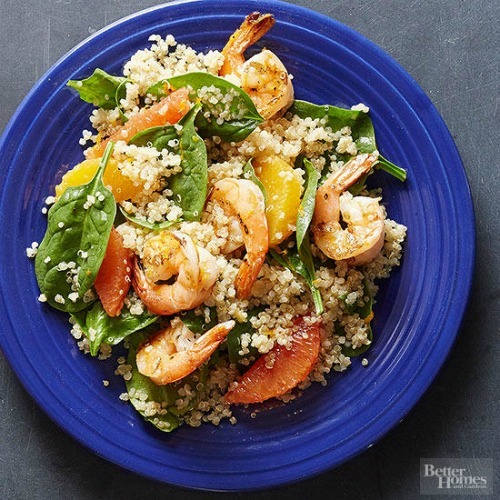 This shrimp and quinoa salad is the perfect, light and refreshing meal that is easy to prepare and convenient when you don't have a lot of ingredients on hand. Meanwhile, rinse quinoa; drain. In a medium saucepan bring 2 cups water to boiling. Add quinoa. Return to boiling; reduce heat. Simmer, covered, about 15 minutes or until water is absorbed. Remove from heat. Finely shred 1 teaspoon peel from 1 orange; set aside. Using a paring knife, cut remaining peel and white pith from oranges; discard. Holding an orange over a very large bowl to catch juices, cut segments from orange (set segments aside). Squeeze juice from membranes into bowl. Repeat with remaining orange. Stir in finely shredded orange peel, balsamic vinegar, 1/4 teaspoon salt, and 1/4 teaspoon ground black pepper. Add shrimp, quinoa, and spinach; toss gently toss to combine. To serve, divide salad among four shallow bowls or dinner plates. Arrange orange segments evenly on top. If you're feeling a craving for pasta, this delicious mediterranean dish is simple to prepare, with most ingredients only needing a quick chop. Chopped flat leaf parsley, thinly sliced red onion, chopped cherry tomatoes, chopped cucumber, baby spinach, baby arugula, cooked crumbled sausage, shredded rotisserie or roasted chicken, one can of drained and rinsed chickpeas, one can of drained tuna, crumbled feta cheese. 1. Bring a large pot of water to a boil, then cook the pasta according to package directions, being careful not to overcook. When the pasta is just tender, but not mushy, drain and set aside. 2. 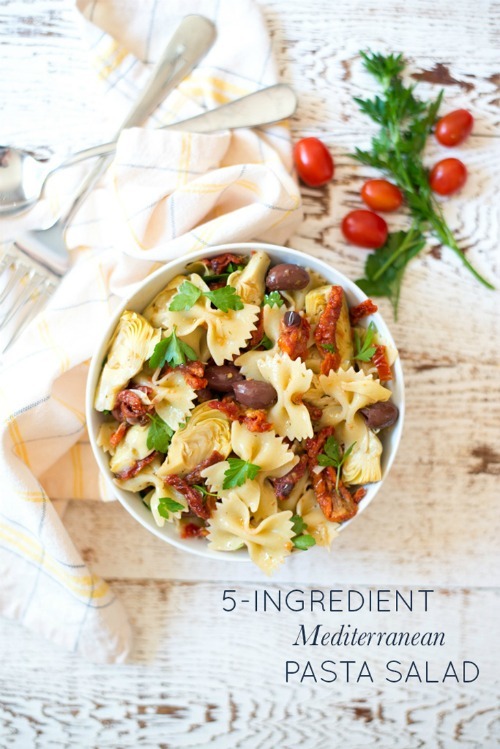 Meanwhile, in a large bowl, stir together the artichoke hearts, sun-dried tomatoes, and olives. 3. Add the warm, drained pasta to the bowl, stirring to combine. Add any optional add-ins at this time as well. Pour over the olive oil and vinegar, and sprinkle with salt. Taste and add additional salt or vinegar to taste. 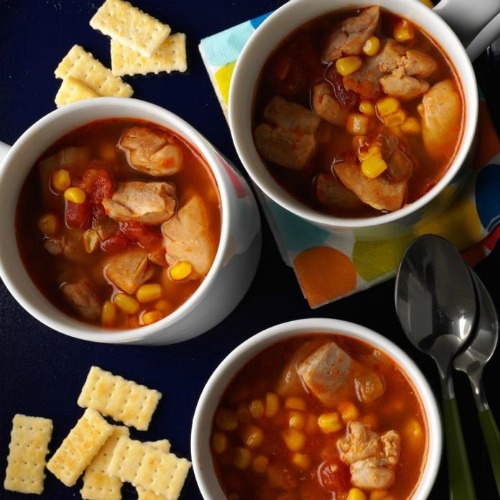 If you're short on time, this soup recipe is a convenient way to get a lot of flavor without a lot of work. 1. In a large saucepan, heat oil over medium-high heat. Add chicken; cook and stir 6-8 minutes or until no longer pink. Stir in taco seasoning. 2. Add remaining ingredients; bring to a boil. Reduce heat; simmer, uncovered, 5 minutes to allow flavors to blend. Skim fat before serving. 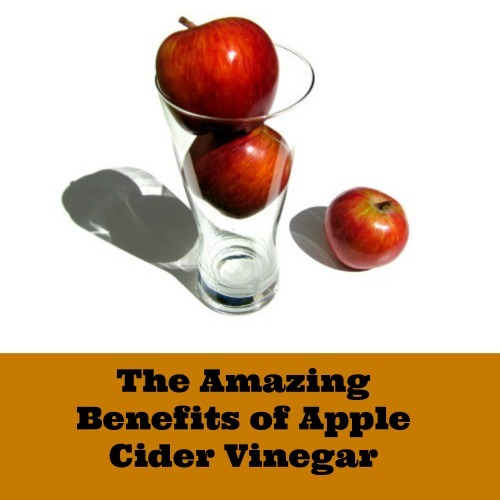 There are few substances that are as versatile as apple cider vinegar. You can drink it, apply it on cuts, use it as a food preservative, or even employ it as a house cleaning agent. The numerous beneficial properties of vinegar have been known to humans since the beginning of history. Many ancient races including the Egyptians, the Greeks, and the Babylonians had been utilizing the benefits of apple cider vinegar for thousands of years. The Egyptians consumed it as a weight-loss supplement and also used it as a disinfectant for wounds. The Greek physician Hippocrates would prescribe a mixture of apple cider vinegar and honey as a tonic for colds, and he also used it for cleaning wounds and burns. 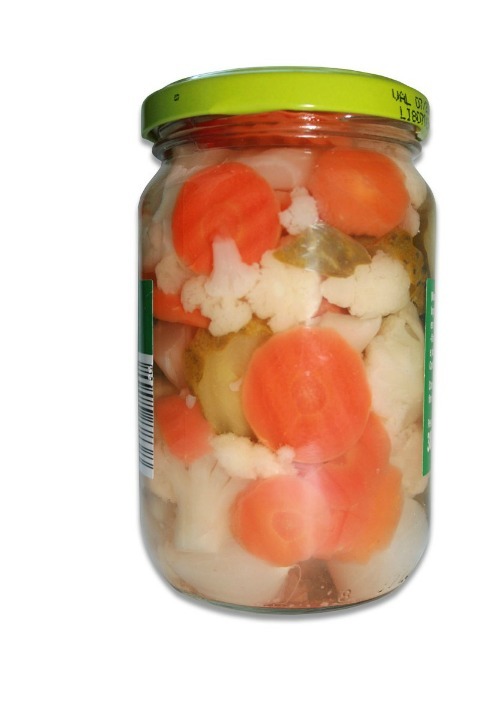 It can be used as a preservative for pickled fruit and vegetables as well. In order to make apple cider vinegar, a combination of yeast and bacteria is added to the juice of crushed apples, and the mixture is allowed to ferment until the sugar is turned into an alcohol. Then the concoction is fermented again with an acid-forming bacterial, which turns the alcohol into vinegar. The word vinegar means "sour wine". Apple cider vinegar is able to kill bacteria and other harmful pathogens, which makes it effective for cleaning your house and as well as something that can be used for cleaning wounds. It's also been traditionally used to treat lice, infections, warts, and even nail fungus. Studies have shown that vinegar is capable of helping people keep their blood sugar levels down and also improves insulin sensitivity, which is especially helpful for those with Type 2 Diabetes. Apple cider vinegar can also be useful to assist in lowering blood pressure as well as cholesterol, both of which are primary causes of heart disease. Drinking apple cider vinegar before meals have been proven to assist in losing weight as it can help with feeling more fuller, longer. It is typically consumed by adding a tablespoon to a glass of water but it can also be used as a healthy alternative for making things like salad dressing. Although it's very cost effective (A bottle of unfiltered apple cider vinegar will usually retail around $3-4) it can easily be made at home, using apple scraps and sugar. Whether cleaning your house, disinfecting a cut, or trying to lose weight, apple cider vinegar has been effectively used for thousands of years. It's a great honor for BeLiteWeight to be able to share the incredible success stories of our patients' post-operative journies! We are always so inspired when we hear about the life-changing victories that people gain as a result of their surgery. Our patient Tracey was kind enough to tell us her story and allowed us to share it with others so that they can feel inspired too! I had always been a big girl but was comfortable in my own skin and pretty much went and did everything I wanted to go and do. After moving to a new state I began working for call centers. Didn't realize how much being in an almost completely sedentary job would affect me. I started having less energy and having a lot more headaches and generally just didn't feel good. My weight kept going up. This continued until I landed in the hospital with cellulitis after a fall. I was off work for almost 8 weeks because my wounds would not heal. About a year later I had another scare with cellulitis and spent another week or so in hospital. Another hospital stay that summer suggested congestive heart failure. Then 6 months later my weight jumped almost 50 pounds in just a couple of weeks. My feet and legs were so swollen I could barely walk. Ended up back in the hospital and diagnosed with congestive heart failure, again. It was at this time that I was also diagnosed with previously missed sleep apnea and type II diabetes that was just feeding into my weight gain and edema which was, in turn, feeding my sleep apnea and diabetes. It was a vicious circle that nothing was going to fix except extreme weight loss. The only problem is I had gained so much weight that I COULDN'T exercise. I couldn't breathe good enough and my legs hurt too much to walk. Dieting was going to help, but not enough. I started looking into the option of gastric sleeve surgery. I talked it over with my primary care doctor and he agreed and supported this. I started the process with an approved surgeon here in the states, went through all of the testings, got to TWO WEEKS prior to my scheduled surgery and was then told that I could not have the surgery. My insurance would not pay for it unless I first lost 30 pounds!!!! I was livid. My primary care doctor was floored. He even wrote Blue Cross a letter but they would not budge. I knew at this point that if I did not do something I was not going to be alive much longer. I was miserable. Finally I found Beliteweight and they literally saved my life. I was nervous and a bit scared of going to Mexico, but I did my research and realized that this was the only way I was going to be able to do this. So, after being given a MUCH easier to follow liver-shrinking diet for the 2 weeks prior to the surgery, my best friend and I headed to El Paso for the trip across the boarder. I am so very thankful I made that trip. I owe my very life to Dr. Jose Rodriguez Villareal and the staff at Star Medico Hospital in Juarez. I weighed 430.6 pounds on the morning of my surgery, July 15, 2017. Today, May 8, 2018 I weigh 229.4 pounds – a weight loss of 201.2 pounds and have shed 25 inches off of my waist. Thank you Beliteweight for being there for those of us that Medical Insurance wont help. 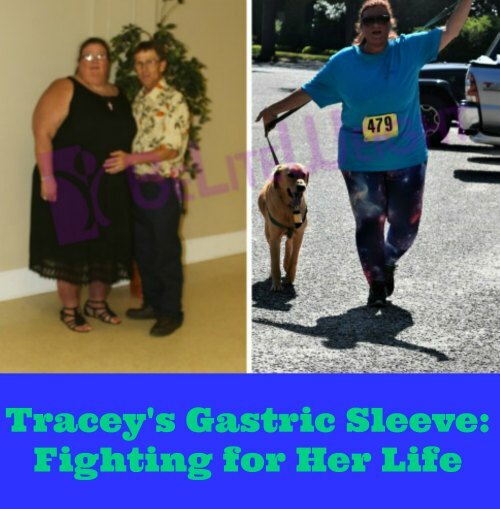 You are amazing Tracey! 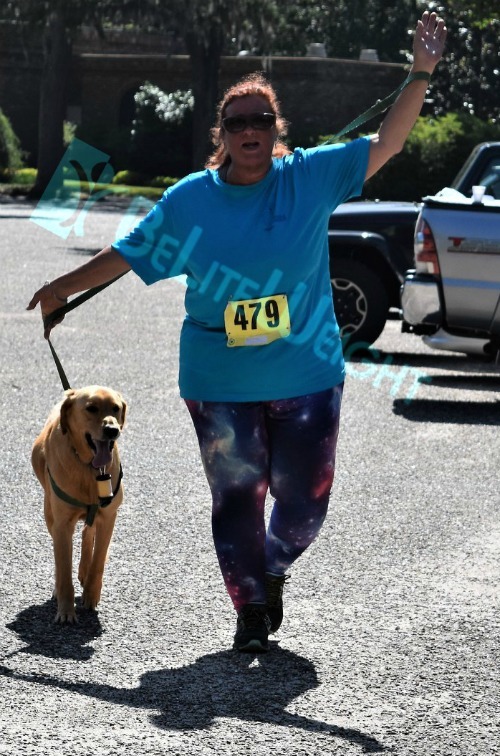 We at BeLiteWeight are so excited to see the incredible progress you've made, and we're so grateful that you shared your story with us! For more information on Gastric Sleeve Surgery, please call BeLiteWeight today! 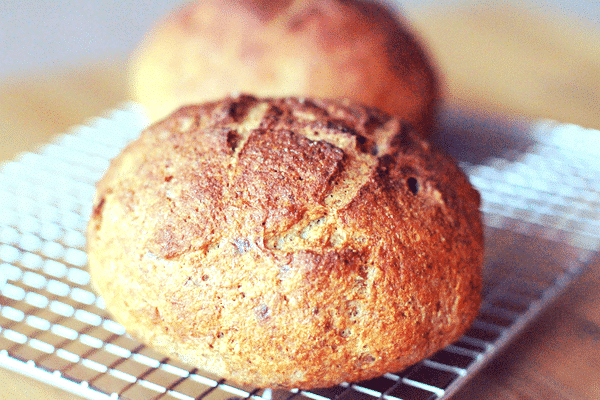 The Most Delicious Bread Recipe, and it’s Grain Free! There are few things that smell better than a fresh loaf of bread baking in the oven. Many people don't realize how easy it is to make their own bread at home, and the benefits are more than worth it. There are numerous advantages to baking your own bread versus buying it pre-made. Bread from a grocery store is often loaded with sugar; sometimes white bread has as much as three grams of sugar per slice. A peanut butter and jelly sandwich for your child can contain up to 6 grams of sugar in the bread alone. Consuming large amounts of sugar is linked to various health issues, including diabetes, obesity, and heart disease. 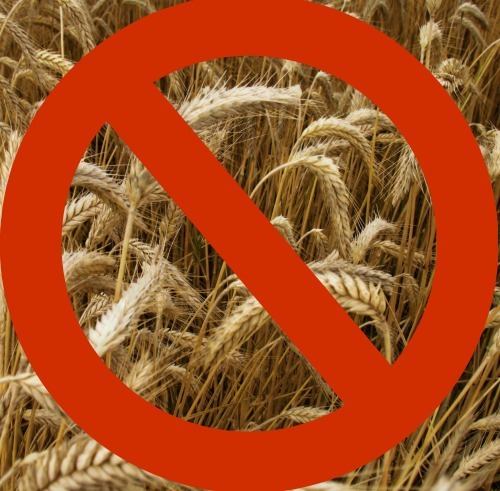 Wheat bread is a healthier option, but it can still have up to 1 gram of sugar per slice. A great alternative is a grain-free bread, but a loaf at the store can cost anywhere from $5-$7. This recipe for a grain-free loaf is an easy way to make delicious, healthy bread at home. It uses almond flour, arrowroot flour, and coconut flour, which are excellent grain substitutes for those who are sensitive to gluten. Almond flour is low in carbohydrates and tastes slightly sweeter than wheat flour. Arrowroot flour is easier to digest, and much healthier when used in place of cornstarch. Coconut flour has a content high in protein, fiber, and healthy fats. In a large bowl, whisk together the almond flour, arrowroot flour, coconut flour and sea salt. Heat water to 105–110°F. Add maple syrup and stir. Add the yeast and let stand 10 minutes. The yeast should bubble or foam. If it doesn’t, start over. Stir the finely ground chia and psyllium powder into the yeast mixture. Let stand 1 minute to thicken, then whisk. Pour the thickened yeast-chia mixture into the dry ingredients and mix with a wooden spoon until thick and fully combined. The dough will be slightly sticky, but workable. Knead for 1 minute. Put kneaded dough back in the bowl, cover with a damp kitchen towel and place in a warm spot to rise for one hour. Preheat the oven to 425 degrees F. Place a pizza stone in the oven to preheat. Divide dough into two balls. Place dough balls on a square of parchment paper or a pizza peel. Dip your hands in water and shape into nice rounded shapes. Brush with egg wash, if desired. Use a serrated knife to cut a tic-tac-toe pattern on the top. Slide the prepared boules onto the preheated stone. Bake 35-40 minutes. PLEASE NOTE – baking time can vary – the measure of doneness is an internal temperature of 205-210 F.
Let cool completely on a wire rack. (Not allowing the loaf to fully cool before cutting may result in a gummy interior.) When completely cool, slice and serve or store in an airtight container. To re-crisp crust, toast or reheat in a 375 F degree oven for 5-10 minutes. Not only is this bread recipe healthy, but it's also extremely delicious and tastes as good as anything you could buy at the store, if not better. In order for our bodies to work properly, we have to keep them well fueled. What you eat can make a huge difference in your energy levels, your mood, and of course your overall health. It's important that your diet is giving your body the best fuel possible. 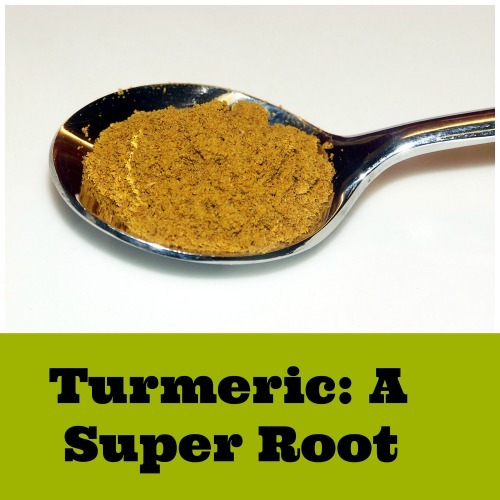 A super food that has been proven to contain many health benefits is turmeric. Turmeric is a root that is similar to ginger, and it can be found most notably in curry. (It's what gives curry it's beautiful yellow color.) In India, the belief that turmeric holds various health properties has persisted for thousands of years, and now science is proving that belief to be correct. The main ingredient of Turmeric is curcumin, which is where it derives its numerous health benefits. One of its perks is that it's an antioxidant. Antioxidants help to counteract the effects of aging and disease that are caused by the oxidation of tissue. Curcumin also increases the productivity of the antioxidants that are already present in our system. So not only does it block oxidants from damaging our tissues, but it also strengthens the other antioxidants in our body so that they work better. In addition, curcumin works as an anti-inflammatory. Low-level, chronic inflammation is thought to be responsible for a variety of chronic illnesses that afflict many people, such as heart disease, cancer, Alzheimer's, and other degenerative diseases. It can help to prevent heart disease by improving the function of our blood vessel lining, which regulates things like blood pressure as well as blood clotting. In addition, curcumin has been shown to be effective in the treatment of arthritis, as some patients have reported that it works just as well as other anti-inflammatory drugs. Curcumin also has the ability to help elevate levels of a growth hormone called Brain-Derived Neurotrophic Factor (BDNF). BDNF is shown to prevent brain-related diseases, and low levels of BDNF correspond with certain health issues such as depression and Alzheimer's Disease. Alzheimer's Disease is in part caused by inflammation as well as oxidation, and curcumin works to counteract them both. A powerful remedy for cystic acne is a relatively simple mixture of turmeric with equal parts fresh lemon juice and unfiltered apple cider vinegar. It creates a paste that is extremely effective in preventing and healing acne cysts. The only downside is that it can temporarily dye the skin, so it's best to do it at night before bed. The amount of curcumin in turmeric is relatively small, so it's recommended to use a turmeric extract in order to receive the full benefit of its potential. Another way to boost your body's ability to absorb curcumin is by eating it with piperine, which is the chemical in pepper that makes it spicy. It's also recommended to consume turmeric with a meal heavy in fat because curcumin is fat-soluble, which means it needs fat to break down. The best health plan is prevention, and using turmeric is a great way to help your body fight against the degenerative diseases that are prevalent in today's society. There is nothing more gratifying than hearing the inspirational success stories of our patients. 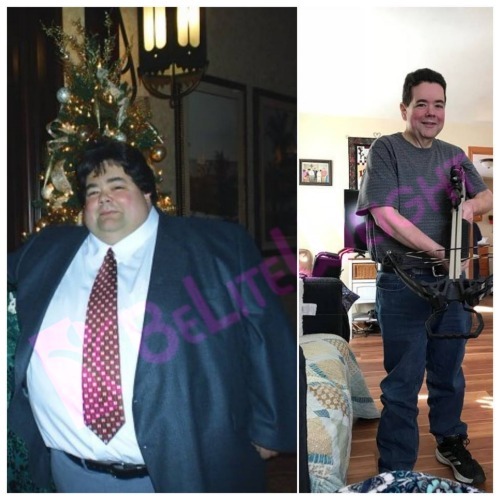 Our team at BeLiteWeight would like to give special recognition to our amazing patient Wally, who was able to achieve incredible success with a Gastric Bypass procedure. His surgery was about a year ago and since then has sent us two inspirational updates throughout his journey. Along with a couple photos below Wally also wrote this message for us to share. I am doing great! I weighed 375 on the day of my surgery, and this morning I weighed in at 182.8. That put's me down 193 lbs since my surgery. My high weight was 425, so I am down 243 lbs overall. It has been an incredible year, and it feels so good to be healthy again!! …I am sooooooooooooooooo happy that I found BeLiteWeight! My life has been forever changed. …I've been recommending you guys to everyone I talk to about weight loss surgery! You're the BEST!! Wally's first update came just four months after his procedure when he had already lost a total of 106 lbs! 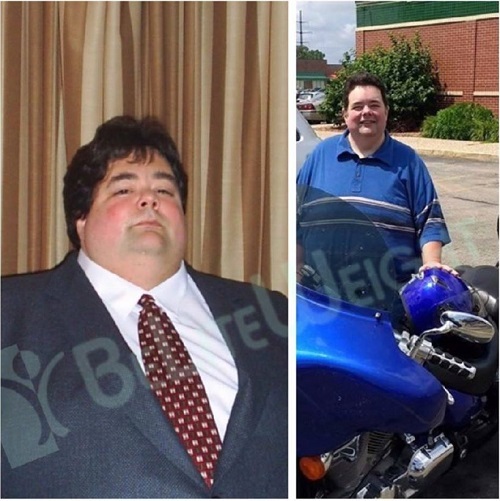 Just recently, around the one year anniversary of his Gastric Sleeve Wally gave us an update of his outstanding progress! He can easily fit his whole arm in his pants when he wears his old clothes! You are awesome Wally! Thank you for sharing your success with everyone! For more information on Gastric Bypass and other weight loss surgical operations, please call BeLiteWeight today! 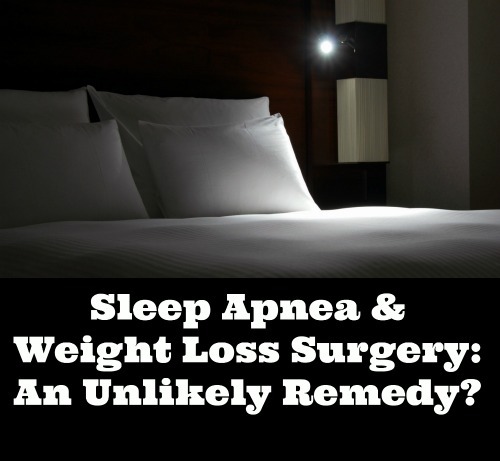 Sleep Apnea and Weight Loss Surgery: An Unlikely Remedy? With over 12 years facilitating weight-loss surgeries for people with many different levels of obesity and weight related health histories BeLiteWeight can attest that obesity and Obstructive Sleep Apnea come hand-in-hand. Unfortunately, it is far too common for those reaching out for help losing weight to also be battling a number of other medical conditions with the most common including diabetes and hypertension as well. The good news is that BeLiteWeight's long history also substantiates the beneficial effects that weight loss surgery has had on patients with Sleep Apnea. With over 10 thousand prior patients BeLiteWeight has had countless first-hand encounters with obesity and Sleep Apnea which have nearly all resulted with major improvements following the Gastric Sleeve or Bypass. Just one example comes from one of our amazing patients Torre who in just 6 months had no more signs of sleep Apnea! Here is her before and after picture and what she had to say about the process. 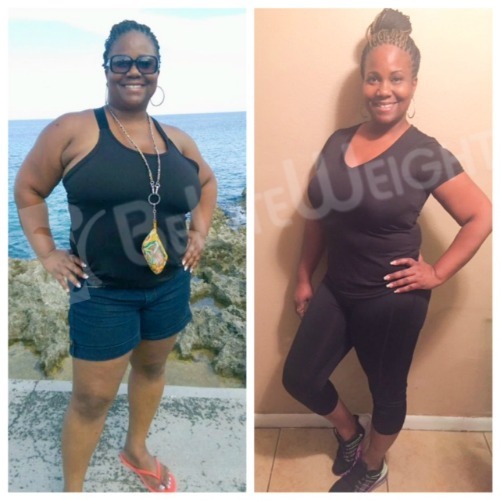 "I've lost 65 pounds since my surgery on July 18, 2015. I went from a size 16 to a size 7. I'm happy to report that I'm medication free. I'm no longer on High Blood Pressure, Cholesterol and no longer in danger of being on diabetic medication. I no longer have sleep apnea and no longer sleep with that dreaded CPAP machine at night. I want to thank BeLiteWeight and their staff for saving my life and giving my life back. I love me and that hasn't been the case in a very long time. – Torre"
While BeLiteWeight cannot guarantee similar medical results due to bariatric surgery, a 2013 study established by the Obesity Surgery Journal also further validates the correlation between OSA and obesity. The study found that out of nearly 14 thousand patients over 75% found improvement in their sleep apnea following their procedures. BeLiteWeight's own history not only supports this figure but suggests that it could be even higher. Nearly all of our patients who are suffering from Sleep Apnea see tremendous results within just months! There is no reason to wait. For more information about the Gastric Sleeve and other surgical weight loss options call BeLiteWeight now! "I have lost 58lbs and went down 4 pants size, feel tons better! 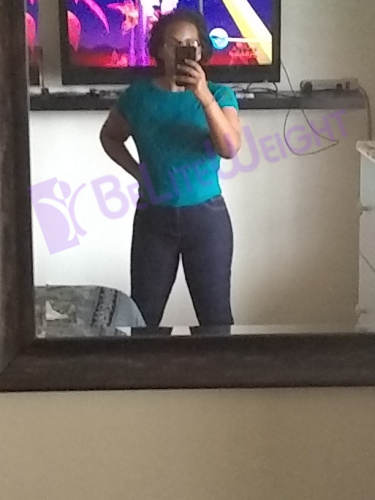 Still, have 40lbs to go but am feeling confident that it will happen and in the meantime, I'm much happier with the way that I am looking thanks to Dr. Rodriguez and JoAnne at BeLiteWeight!"" Way to go Letitia! Our team is so happy for your success today and in the future to come! For more information about the Gastric Sleeve and other surgical weight loss options call BeLiteWeight today!